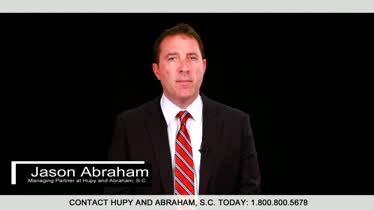 Slip And Fall Injury Lawyers | Hupy and Abraham, S.C.
Hurt in a Slip and Fall Accident? If you, or a loved one, have been injured in a slip and fall incident, hire the firm with experience and results. Call Hupy and Abraham now. You are hurt, and you are confused, but you are not alone. Unintentional falls are the leading cause of injury in the United States. The most recent information available from the National Center for Injury Prevention and Control indicates that more than 8.5 million people are hurt annually in the United States from unintentional falls. Unintentional injuries, which include slip and fall accidents, are also the leading cause of death for people age one to 44 and the fourth leading cause of death for all age groups. 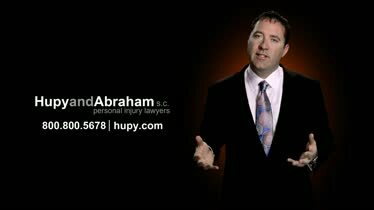 Since 1969, Hupy and Abraham attorneys have been helping individuals injured in Wisconsin slip and fall accidents get the recoveries they deserve. Your fair recovery starts with accurate information about the cause of your fall, the injuries you may have suffered, how a case works, and the damages that you might recover. We invite you to learn all of this—and more—right here. Supermarkets. Spills and trip and fall hazards make grocery stores a common place for slip and fall accidents. If you’ve been hurt in a supermarket, then you need to know how to report the accident and protect your recovery. Stores, Wet floors, ripped carpets, and low lighting can create slip and fall accidents. 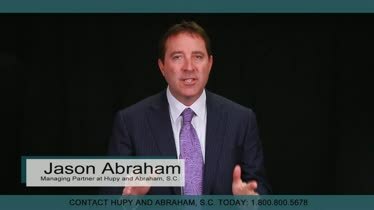 The property owner or the owner of the retail store could be liable for your injuries. Restaurants. Restaurant slip and falls are common and often preventable. If you’ve been hurt because of a negligent condition at a restaurant, then you may have the right to recover damages. Hotels. Fractures, head injuries, and other serious injuries are all possible after a fall on hotel grounds. Whether you slip in the lobby, trip on the stairs, or fall on the outside grounds, it is important to get prompt medical and legal attention. Gyms. Slippery conditions, broken rails, and other hazards can result in serious injuries at the gym. Sidewalks. Uneven or broken sidewalks can be serious trip and fall hazards. Debris left on sidewalks or unnatural accumulations of ice or snow can also result in significant fall injuries for which you may be able to recover damages. Playgrounds. Sometimes children fall on playgrounds and it is just an unfortunate accident. Other times, however, they fall because of the negligent design or maintenance of the play area. In these cases, a legal recovery may be possible. Amusement parks. The negligent design or maintenance of amusement park rides or other areas of the park can result in serious fall injuries for which you may be able to recover damages. Hospitals. Slippery floors and crowded halls can result in hospital slip and fall accidents. If this has happened to you, then it is important to accept medical care and to report the accident as soon as possible. Elevators or escalators. Broken elevators or escalators can result in fall injuries. The elevator or escalator manufacturer, maintenance person, or the property owner could be liable for injuries that result from such falls. Regardless of where you fell, you need to know why you fell. Snow and ice. 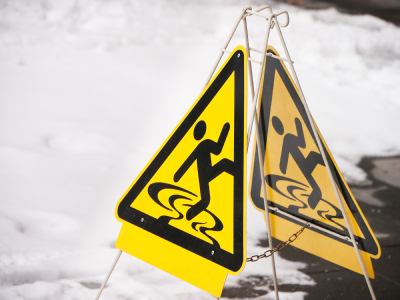 All snow and ice is slippery; however, the rules for recovering damages after a slip and fall injury are complicated in Wisconsin and potential recoveries are dependent on the unique facts of each fall injury case. Inadequate property maintenance. Property owners have a duty to maintain their properties. If a property owner should have known about a problem—perhaps a broken stair, a malfunctioning light, or a loose banister—and failed to fix it then a serious fall could result. Poor property design. Property owners also have a duty to design safe properties. Lack of lighting or lack of compliance with building codes, for example, could result in a fall. Any of these causes can result in a significant injury and a potential recovery. Brain and head injuries. A skull fracture or traumatic brain injury could result if you hit your head on the ground or on another object during a fall. Spinal cord injuries. More than one quarter of all spinal cord injuries are caused by falls, and falls are the most common cause of spinal cord injuries for people age 65 and older. A spinal cord injury could occur if there is an injury to your vertebrae. Broken bones. Any bone in the body can break when you take an unexpected fall. Which bone may break depends on how you fall and how you land. The result of any broken bone may be pain, surgery, and inconvenience. Broken hip bones. Broken hip bones are especially risky for senior citizens. A broken hip bone can decrease mobility and may even decrease life expectancy. Broken tailbones. A coccyx fracture can be slow to heal and can significantly interfere with your daily living activities. Broken arms and wrists. A broken arm or wrist may require surgery, casting, and physical therapy. It may impact your ability to go about your regular activities. Broken legs and ankles. A broken leg or ankle may also require surgery, casting and physical therapy. As with a broken arm or wrist, the impact on your daily living activities can be significant. Dislocated shoulders. A dislocated shoulder may be painful. Your recovery may include immobilization of the shoulder and physical therapy. Eye injuries. Falls are the most common cause of eye injuries. An eye injury can result if you fall onto an object that scratches or penetrates the eye. The resulting injury may be painful and it may limit your vision forever. Facial and dental injuries. If you fall on your face then you risk breaking a facial bone, such as your nose or jaw, breaking or dislocating your teeth, or biting your tongue or cheek. Death. A slip and fall can result in a fatal injury for a person of any age. However, older people are at higher risk of suffering a fatal injury in a fall accident. If you have suffered any of these injuries—or if you have lost a loved one—then you deserve to make a fair recovery. Medical expenses. Medical expenses include all of the health care costs directly related to your injuries. These may include, but are not limited to, the cost of your ambulance ride, hospital stay, surgeries, medications, doctors’ appointments, and physical therapy. Out-of-pocket costs. If you’ve been hurt then you may not be able to do the things that you used to do for yourself. You may need help with transportation, house cleaning and child care, for example, and those expenses may be included in your recovery. Lost income. Your injuries may keep you out of work or you may be unable to earn as much as you did prior to your fall. Any income, including benefits, that you lose because of your injuries may be compensated in a settlement or court verdict. Pain and suffering. Your physical pain and emotional suffering may be your most significant injuries and should be included in the damages that you recover. These damages will not be automatically awarded to you, however. Instead, you are going to have to pursue your fair recovery. Property insurance. Your recover may be able to recover from the property owner or renter’s insurance company. Reporting your accident. You may need to report your accident to the owner or manager of the property where the location occurred or to the property owner in order to protect your rights. Dealing with insurance adjusters. Insurance adjusters want you to settle for as little as possible so that the insurance company can maximize its profits. Accordingly, it is important to be informed about how insurance adjusters act and protect yourself when dealing with adjusters. What to do after a slip and fall. The things that you do after a slip and fall, such as preserving evidence from the accident scene, reporting the accident, and getting medical care, could have a significant impact on your recovery. What not to do after a slip and fall. It is important to avoid certain actions after a slip and fall accident so that you do not unintentionally jeopardize your fair recovery. When you have the right to pursue a claim. You need to know if you have standing to sue and who you should sue if you’ve been hurt in a fall. How to collect and protect evidence after a slip and fall. Evidence—including photographs and eyewitness reports—can make a significant different in the damages that you collect after an accident. How long you have to file a case. Your time to file a lawsuit after a fall is limited. If you miss this deadline then you may not be able to recover any damages for your injury. What happens if you were partly to blame for the fall. In Wisconsin, you may recover damages if you were partly to blame for the fall—as long as you were not primarily to blame for the fall. Witnesses to the fall. Both eyewitnesses and expert witnesses may be important to establishing liability and the value of your damages. How slip and fall settlements work. Most cases settle before trial, but it takes a lot of work to get to a fair settlement. The advantages of hiring an attorney. An attorney may be essential to your fair settlement or recovery of damages in court. If you’ve been hurt, then you deserve a free consultation with a lawyer to find out how a lawyer can help you. Additionally, if your child has been hurt then you will want to know more about how to protect your child’s right to a fair fall injury recovery.